Today, in Nob Hill, we saw the original Batmobile from the 1966 Batman TV series. Also, as we found out, apparently before it was the Batmobile, it was in a Glenn Ford and Debbie Reynolds movie, It Started with a Kiss. Someone in ABQ bought it and for a price he will drive you around on your own personal Breaking Bad tour. Next PostWhy Does Cooked Cauliflower Have to Smell So Weird? 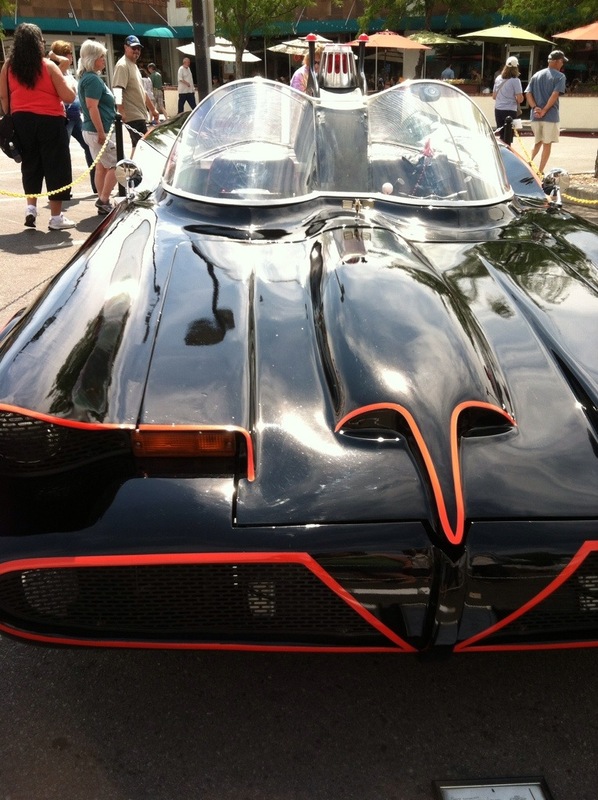 I saw this Batmobile at Kaboom Test Labs for Free Comic Book day last year. It’s pretty cool. Neat! Sounds like the owner does a significant amount if charity work too.